Welcome to the website of the Franciscan Friars of the United States of America. We are over 1,000 friars – members of the Order of Friars Minor – living and ministering as brothers across the United States. On May 30, 2018, the friars of six US provinces voted to move ahead with a process of revitalization and restructuring of Franciscan life in the US. See our Frequently Asked Questions to find out more about what this means. We Franciscans owe our inspiration to Francesco di Bernardone, an affluent young merchant from the Italian town of Assisi, who in 1206 renounced his wealth and social status in favor of a life dedicated to God and the least of God’s people. Soon, other men and women joined him to begin a vast movement of Gospel renewal within the medieval Church. Although St. Francis of Assisi began his life of penance as a hermit, devoting himself to prayer, working among lepers and rebuilding churches in the Assisi area, other men were soon attracted to his company. By 1209, there were 12 brothers, and so they approached Pope Innocent III to gain approval of their way of life “according to the Holy Gospel.” The Order of Lesser Brothers (ordo fratrum minorum) — now formally known as the Order of Friars Minor — had begun. The Gospel life of the Friars Minor, as Francis describes in our Rule, has four central components: first, to be men of prayer, “desiring above all things to have the Spirit of the Lord and its holy operation;” second, to live as lesser ones, “not making anything our own,” but serving the Lord in poverty and humility; third, to create a brotherhood of mutual care among ourselves, “showing we are members of the same family;” and fourth, to “go about the world” entering people’s everyday lives as heralds of God’s reign and agents of Gospel peace. A history of the Franciscan presence in the US can be found above in the main menu. Here are the answers to some common questions about the Franciscans. Why are male Franciscans called friars? The word friar comes from the Latin word frater, meaning brother. Frater is the root of other English words such as fraternal, fraternity, fratricide, and fraternize.When St. Francis of Assisi founded the Franciscan order, he used the word friar because he intended its members to live as brothers without distinction of rank, title, or education. Friars are first and foremost brothers to each other. Friars live in communities called fraternities, and the building which they live is known as a friary. The male religious of the mendicant orders (e.g., Franciscans, Dominicans, Augustinians, Carmelites) are all called friars. No. Monks live a cloistered life in a monastery and vow to live in that monastery for all of their lives. Franciscan friars, on the other hand, may live in many different friaries during their lives. A monk’s life is one of stability. Friars are itinerants, that is, they move from place to place. How can you tell which friars are priests and which are brothers? You can’t. All Franciscan friars are first and foremost brothers to each other. All Franciscan friars live the same rule of life and wear the same religious habit. Some Franciscan friars are ordained to the priesthood. These friars usually devote themselves to sacramental ministry. Other friars are not ordained, and these friars work in any number of fields which may include counseling, spiritual direction, teaching, medicine, social work, cultural or social animation, and so on. There is no limit to the kinds of work open to Franciscans, as long as the work does not go against Gospel values. Despite some friars being ordained and others not, in the spirit of St. Francis, all friars – lay and ordained – see themselves as brothers, as equals, with no one greater or less than the next, respectful to one another and to all of creation. If you are not sure if a Franciscan friar is a priest or a brother, you can never go wrong addressing him as “brother.” Within their fraternities, friars generally address one another by their first name or by that word. On this website, we use the words friar or brother as the title for all friars. What is a Franciscan habit? A habit is the official garb that identifies a religious man or woman as a member of their individual order or congregation. The word came into use as it was the habit of religious men and women to daily dress in their respective, distinctive clothing. Franciscans wear a brown religious habit with a white cord. The habit has two parts: a tunic and a capuche (hood). The cord has three knots in it which represent the three vows of poverty, chastity, and obedience. Traditionally, sandals were worn with the habit. These days, particularly in the northern latitudes, shoes are usually worn instead. St. Francis of Assisi not only wanted to serve the poor; he wanted to be poor. 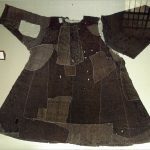 When he devised a habit for his brothers, he chose the clothing typically worn by the poor of the time: a plain unbleached tunic with a hood for protection, a cord fastened around one’s waist, and sandals for one’s feet. 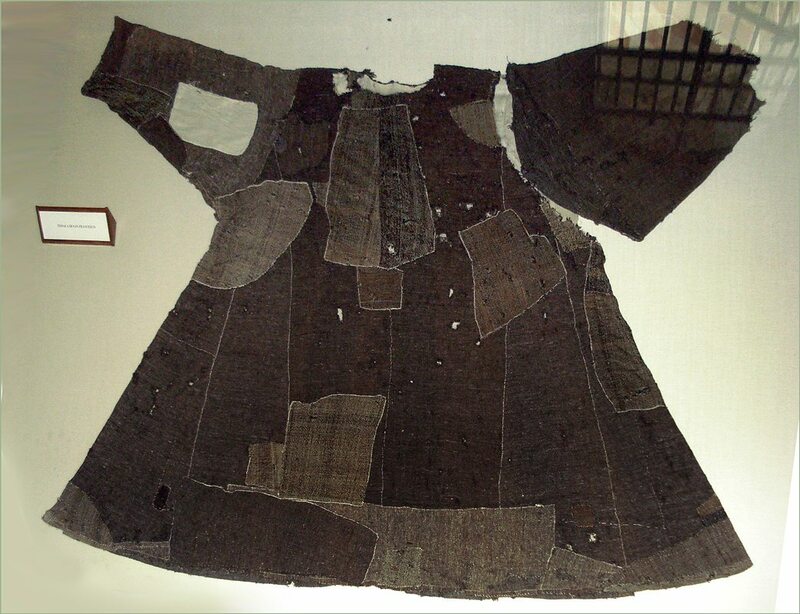 The Poor Clare nuns in Assisi have the habit that was worn by St. Francis and display it in the Basilica di Santa Chiara (you can see a picture of this habit of St. Francis of Assisi to the right). Franciscans wear their habits for special occasions and gatherings. Some wear it every day, while some wear regular clothes instead. Others wear whatever is needed for their particular work. When we make vows of poverty, chastity, and obedience, we are publicly proclaiming, before God and the church, that we will live no longer for ourselves alone — that we will also live for God and for others. The vows of poverty, chastity, and obedience allow us to be faithful disciples and to witness to the Gospel life within the particular form of life we have chosen. The vows can easily seem to restrict what we can and can’t do, but they actually do away with whatever keeps us from being the person God wants us to be — in other words, they set us free. Because we are not bound by personal financial concerns, by exclusive relationships, or by own will, we can be available to all people and we can offer our lives for others. The rule we live today is the third version of that rule. The first was approved by Pope Innocent III in 1209, so we mark our founding as being in that year. Besides the rule for the friars, St. Francis wrote other rules. He wrote a rule in 1212 for the Poor Clares. St. Clare later revised it, and today it is known as the Rule of St. Clare. Another rule is the Rule for Hermitages. It governs how a group of friars are to act while at a hermitage and is a rule which any group can follow. For those who could not leave their families and homes, he wrote a rule in 1221 forming the Third Order of Brothers and Sisters of Penance, a lay fraternity that, without withdrawing from the world or taking religious vows, would allow ordinary people to live the principles of Franciscan life. Those following this rule are today known as Secular Franciscans. The latest version of their last rule was approved by Pope Paul VI in 1978. Why do Franciscan friars have OFM after their names? Our founder, St. Francis of Assisi, called his little group the “Order of Lesser Brothers” (“Ordo Fratrum Minorum” in Latin), and that is the official name of our order. In order to keep the initials OFM, we many times explain the letters OFM as the “Order of Friars Minor”. In a society where there were kings and lords on one hand, not much of a middle class, and the serfs and the poor on the other hand, Francis strove to anchor his brotherhood firmly among the poor and did so by including that in our very name. How do Franciscans spend their days? A Franciscan’s day is composed of prayer, time with the community, and work. The friars – some are priests and some are not – can do any kind of honest work: pastoral work, social work, community work, education, missionary work, and so on. Among Franciscans, you will find social animators, doctors and nurses, cooks, preachers, parish priests, catechists, teachers and professors, journalist, laborers, and more. Franciscans aim to follow in the footprints of Jesus Christ, to live a lively and true fraternity, rooted in a spirit of prayer, to which all work comes second. A Franciscan fraternity is a cell of the church, open to all and involved in following Christ and Francis of Assisi for today’s world. In our choice of how we live, where we live and what we do, we emphasize service to those who are most in need. Once each friar has understood and lived this missionary aim, he is encouraged to do honest work according to his abilities and interests… and the needs of his milieu. We consider mission, whether foreign or domestic, as a constituent element of Franciscan life. In fact, St. Francis of Assisi was the first founder of a religious order to write in his rule a chapter about missions and non-Christians. Close to the beginning of the order, St. Francis sent friars to France, Germany, Hungary, Spain and into the provinces of Italy where they had not been before. St. Francis, himself, went on a mission to Egypt and the Holy Land. The protomartyrs (first martyrs) of the order were killed while on a mission to Morroco during the lifetime of Francis. One of the first Christian missionaries to India and China was a Franciscan friar. As Francis sent his brothers out, he urged them to “live spiritually” among peoples of faiths or peoples of no faith at all. Unlike the crusaders who went out to fight against the Saracens, the friars minor went out to live among them! Who does not wonder at the man or woman who “goes about the world without quarreling or disputing or judging others” — “who is meek, peaceful, modest, gentle, humble and speaks courteously to everyone”? To those who inquire, the friar should answer as did Francis: “Because I am a Christian!” In this way, the prophetic presence of the Franciscan missionary nurtures the soil to receive the word. When the friar perceives that the word will be welcomed, then he opens his mouth and heart to share his faith in the gospel of Jesus Christ. Out of missionary activity arises the life with the poor, the engagement for peace, the summons to conversion and so on — all essential to the Franciscan way of life. 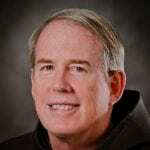 Who's in charge of Franciscan friars? A guardian is one who looks out for the friars, as Francis said, as a mother takes care of her children. A guardian animates the friars to live the Gospel in the manner that St. Francis lived it as described in our rule, offer them support in time of need, be an attentive ear when they need to talk, correct them when necessary, and ensure that the entire fraternity functions as one brotherhood. The role of leadership, then, for Franciscans, is one of service. The provincial ministers are elected by the friars in each province to serve for a term of six years. He can be re-elected for an additional three years. The minister general is elected by the provincial ministers to serve for six years. He can be re-elected to serve an additional six years. Guardians are appointed by the provincial minister and his council to serve for a term of three years. At the end of their term, the ministers and guardians return to being simple friars, and new friars are elected to serve in their stead. A province is the basic unit of the life and mission of the order. It made of the friars together in friaries and is headed by a provincial minister. The Franciscan order is divided into various regions, called provinces. Sometimes a province encompasses an entire nation, in other countries, there may be several provinces. In May 2018, friars from six of those provinces in the US voted to come together to form one new province for the US. You can read more about this effort on our Revitalization + Restructuring page. 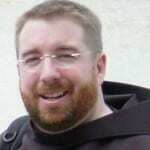 How many Franciscans are there? It’s said that only God knows how many Franciscans there are! St. Francis of Assisi’s vision was so powerful, that there are literally hundreds of groups who call themselves Franciscan. There are three groups which belong to what is called the first order of St. Francis: the Order of Friars Minor (often called just “Franciscans” and whose initials are OFM), the Conventual Franciscan Friars (whose initials are OFM Conv.) and the Capuchin Franciscan Friars (whose initials are OFM Cap.). We are members of the OFM in the US. There about 11,000 OFM friars in the world, and of whom about 1,200 live and work in the US. The Second Order of St. Francis are the Poor Clares — contemplative nuns who live a life of prayer, community, and joy. The Third Order of St. Francis has two parts. Hundreds of Franciscan congregations of both men and women make up the Third Order Regular, also known as the Franciscan Federation. 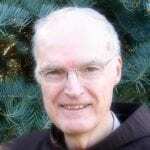 The Secular Franciscan Order is the Franciscan order for secular lay men and women. Members of this order live their everyday lives in the world and gather together on a regular basis. They make profession to live out the Gospel according to the example of Francis. There are nearly 13,000 Secular Franciscans in the United States today. For information on a local SFO fraternity in your area, call 1-800-FRANCIS (1-800-372-6247) and follow telephone message directions. And there are more! Anglican Franciscans are members of the Society of St. Francis and Lutheran Franciscans are members of the Order of Lutheran Franciscans. Finally, members of other Christian denominations have come together to form the Order of Ecumenical Franciscans. 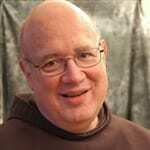 These are some blogs written by Franciscans friars in the US. Check them out. 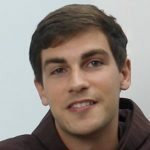 Dan Horan, a visiting professor at the Catholic Theological Union, blogs his reflections on the world and the church from a Franciscan and millennial perspective. 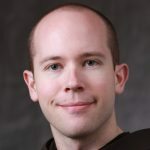 Casey Cole blogs about his experiences as a friar, Franciscan spirituality and questions about the friars in general. Occasional reflections on all manner of topics, from a Franciscan perspective, especially race relations and church membership trends. Friar Lawrence’s “almost daily” takes its focus from the Scriptures for the day. It is written particularly but not exclusively from the perspective of persons who endure chronic illness or have disabilities. This blog is a dimension of Friar John’s ministry of preaching with the Franciscan Ministry of the Word. Tom Washburn, executive secretary of the English-speaking Conference OFM, shares his thoughts, reflections, homilies and news of the church and world on a regular basis. If you’re a friar with a blog and would like to have it added here, write us. 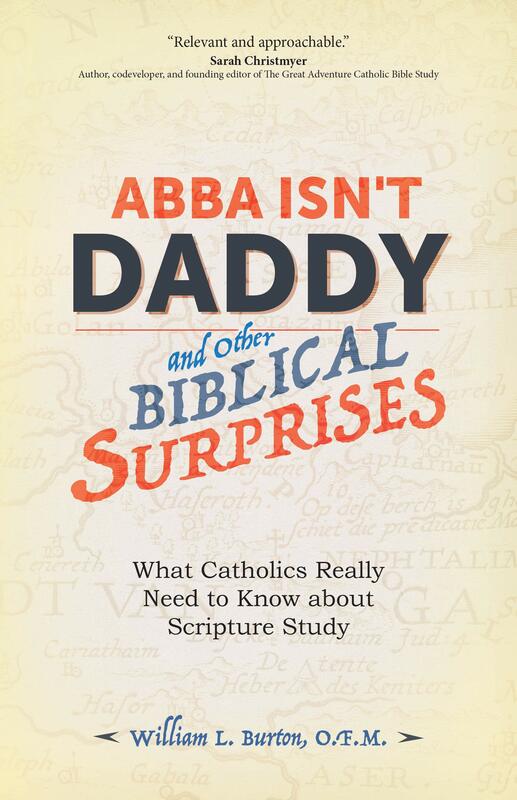 In Abba Isn’t Daddy and Other Biblical Surprises, Friar Bill Burton answers a number of fascinating questions that help you become more familiar with the Bible and your Catholic faith. 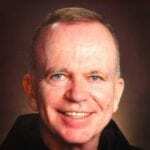 Whether you’re considering a religious vocation or simply trying to lead a Christ-centered life, Franciscan Friar Casey Cole OFM has news: Christian life doesn’t end with a profession of faith or hearing of God’s call. That’s when it begins. 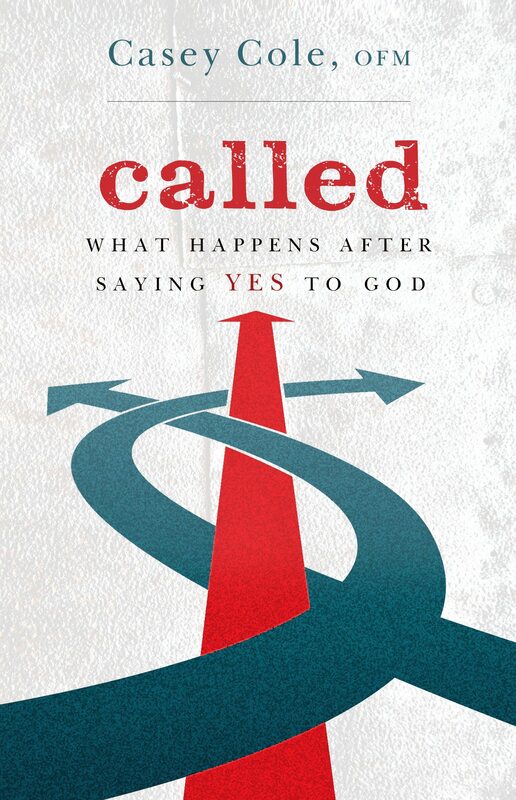 Good spiritual directors can be difficult to come by; this book offers Pope Francis to be yours. 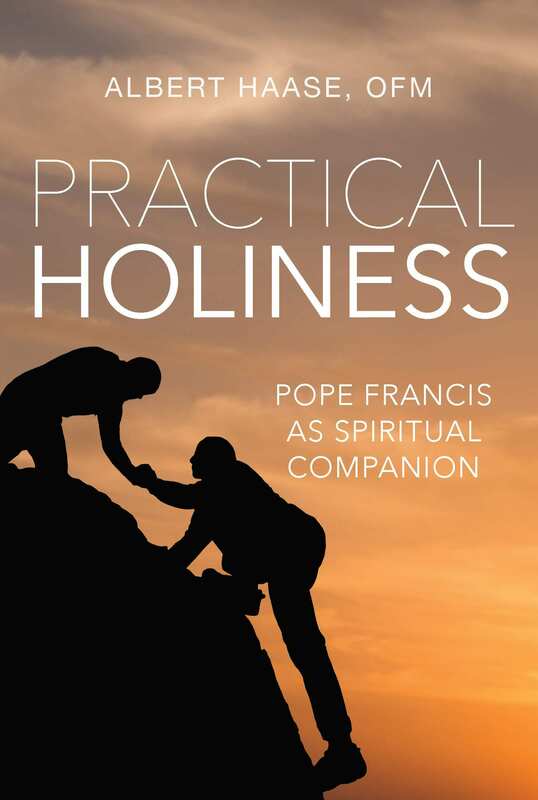 Ever wonder what advice the Pope would give you to help you grow in holiness, deepen your prayer life, know God’s will? Una canción pintada” es la forma en la que Enrique de Avranches describe su propia obra maestra literaria, La Vida de San Francisco Versificada. En un estudio maestro acerca del texto de Enrique, Fray Michael Della Penna ofrece un marco para esta maravillosa pintura. 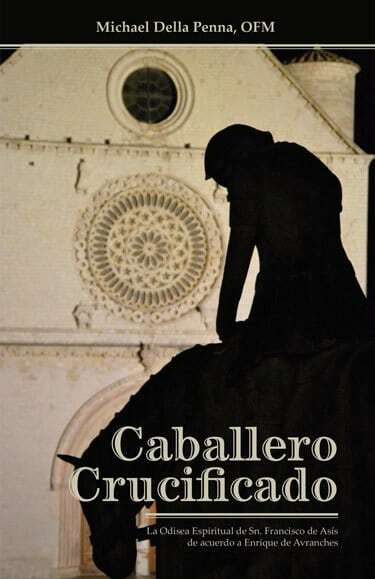 The English version of this book is also available. 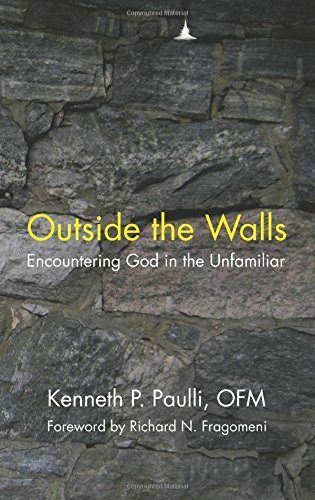 In this conversational book, Friar Ken Paulli shares nine personal stories, which range from a humorous encounter with a nearly one-hundred-year-old woman to a disturbing encounter with a desperately poor, pregnant Haitian woman. 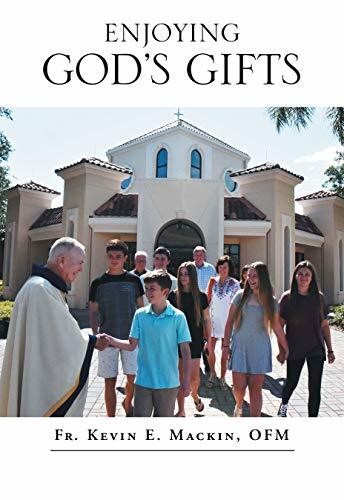 The sharing of these stories, and the reflections upon them invite the reader to consider their own personal stories and how God can be encountered in and through them, often if they but move outside the walls.ins. 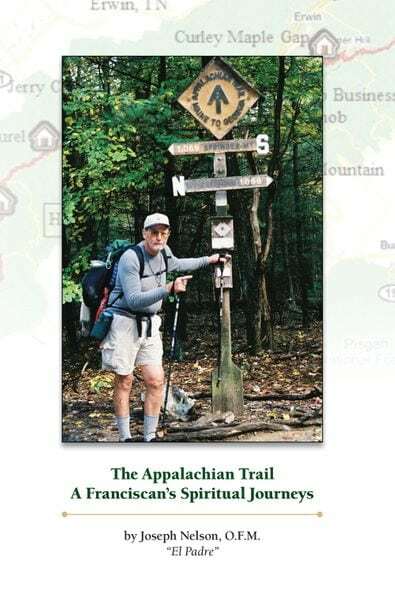 Franciscans are known for a love of nature and their involvement with those “on the margins,” and while the Appalachian Trail is not on the margins in the way that it once was, Friar Joe has shown us in this memoir of his travels along the trail, that it is still a place where you can get a new perspective on your life in the midst of the beauty of nature. The predominant “stewardship model” of creation is the result of an intentional effort to correct approaches that reinforce human sovereignty and the resulting environmental degradation. 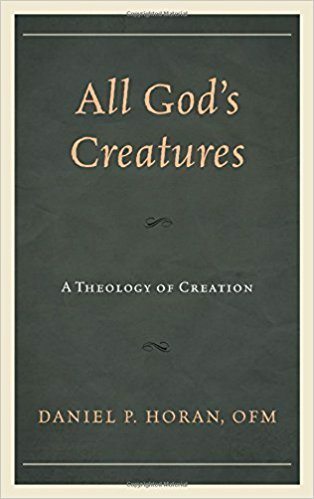 However, as All God’s Creatures argues, the stewardship model actually does not offer a correction but rather reinscribes many of the very same pitfalls. The Eucharist is a going forth. We must go from the church to “wash the feet” of our brothers and sisters in daily life. 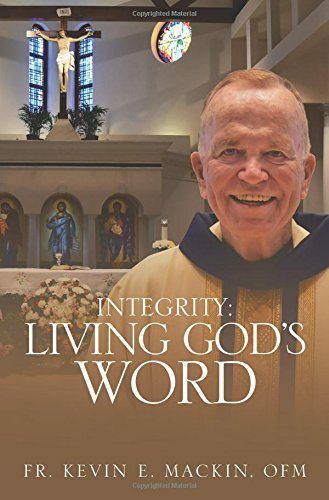 In giving ourselves to others, we will live God’s Word and act with integrity wherever we are and whatever our profession and relationships are. If you’re a friar who’s recently published a book, let us know. 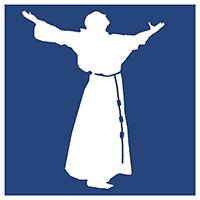 Sign up to get tweets from US Franciscans. The novices receive their Franciscan habits at the Interprovincial Novitiate at Old Mission Santa Barbara in California.